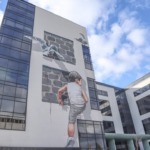 Tucked away in the north east of Scotland you will find the city of Aberdeen and the surrounding towns and villages which make up Aberdeenshire. This really is the region of trails for those who love history and the water of life, whisky! With just over 250 castles in Aberdeenshire throughout the ages, it is a great destination for ‘castle bagging’ and also living like royalty does on the Royal Deeside. 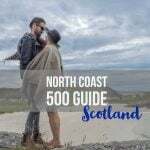 While planning your trip to or around Scotland, do consider this northeast 4-day itinerary. Aberdeenshire and the Royal Deeside is lesser-known which means fewer tourists, the east tends to get fairer weather and there are fewer midges! 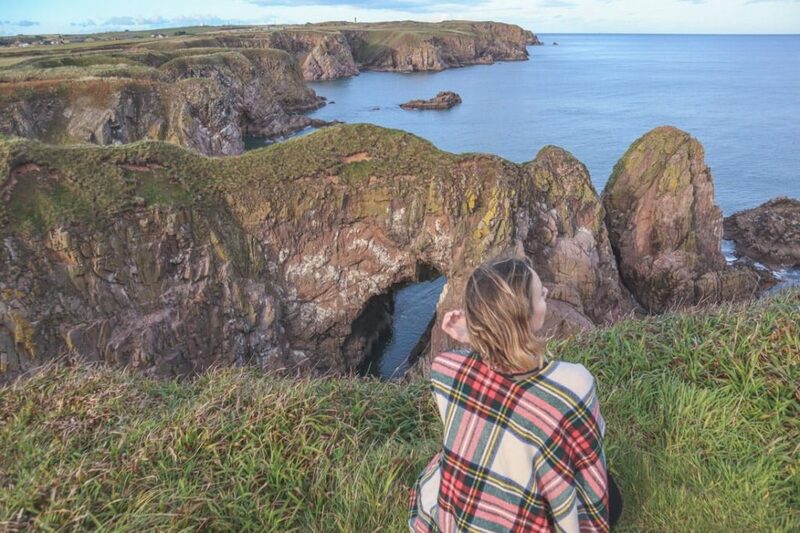 Let’s dive into this guide of things to do in Aberdeenshire. 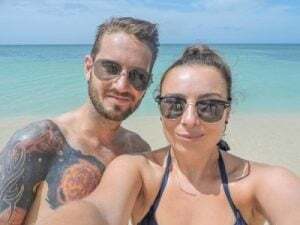 We’re Gemma and Craig by the way, two Scots who love to travel at home and abroad. One of the main attractions in Aberdeenshire is the coast and also the castles. Awash with beautiful beaches and steeped in history, there are plenty of locations to keep you busy on your Scotland road trip. Unlike distilleries on the likes of the North Coast 500 in the Scottish Highlands, Fettercairn is small, intimate one so tour sizes are wee which means you get to ask lots of questions. Fettercairn uses its location well, positioned at the foot of the Cairngorms the distillery uses the fresh mountain water as an ingredient. The harbour town of Stonehaven is small town famous for its Hogmanay fireballs ceremony, fish and chips and also Dunnottar Castle. 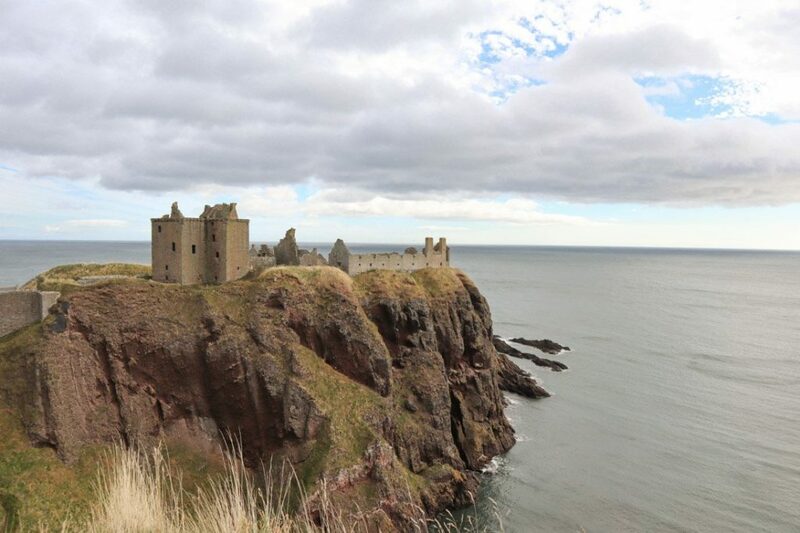 Dunnottar Castle is just one of the many castles near Aberdeen worth a visit. Footdee or Fittie (postcodeAB11) as locals call it is a quaint wee fishing village close to Aberdeen Beach. It is normal to see visitors wandering the gardens and taking photos of the colourful doors and welcoming decor. Footdee gets its name from its location – at the foot of the River Dee. The same architect responsible for Balmoral Castle also designed some of the Footdee houses. 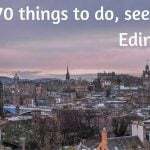 Things to do near Aberdeen don’t have to involve castles, promise! Brewdog is now an internationally renowned craft beer but did you know that it all kicked off in Aberdeenshire? This business started by two friends (and a dog) now employs over 1,000 people. Luckily for beer lovers, there isn’t just a tap room but also a Dog Walk brewery tour. There are three brewhouses at the Ellon site including the Lone Wolf Distillery. Tours take place every day, check the times here. 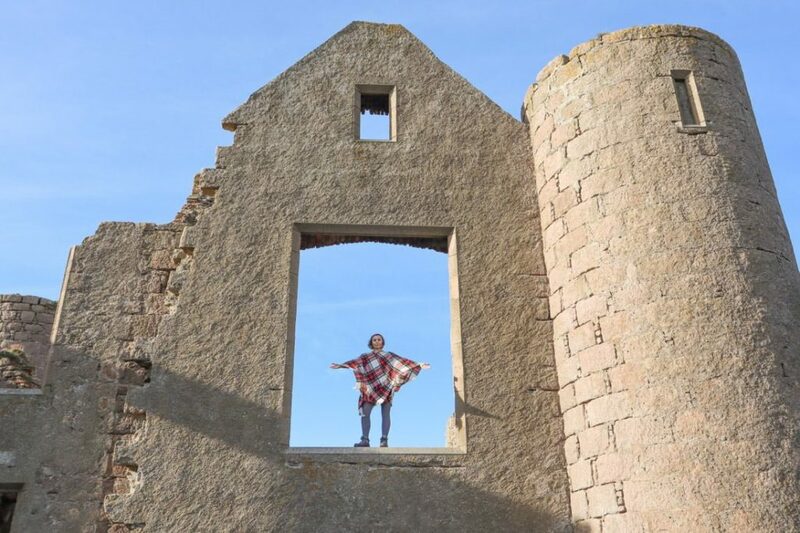 There is a reason that Lickleyhead Castle in Aberdeenshire is searched for often on Google, holidaymakers used to be able to book a room at this L shaped castle built in 1600. Not only this but Game of Thrones star, Rose Leslie (Ygritte), grew up here and there were rumours she was to marry Kit Harington (Jon Snow) here too but the wedding took place at Wardhill Castle according to the papers. I’ve not added Lickleyhead Castle to our itinerary because you can’t actually visit it, I thought it was an interesting sidenote for GOT and history fans. Slains Castle is an interesting one for photographers because the ruin with big windows casts cool shadows in the afternoon light. 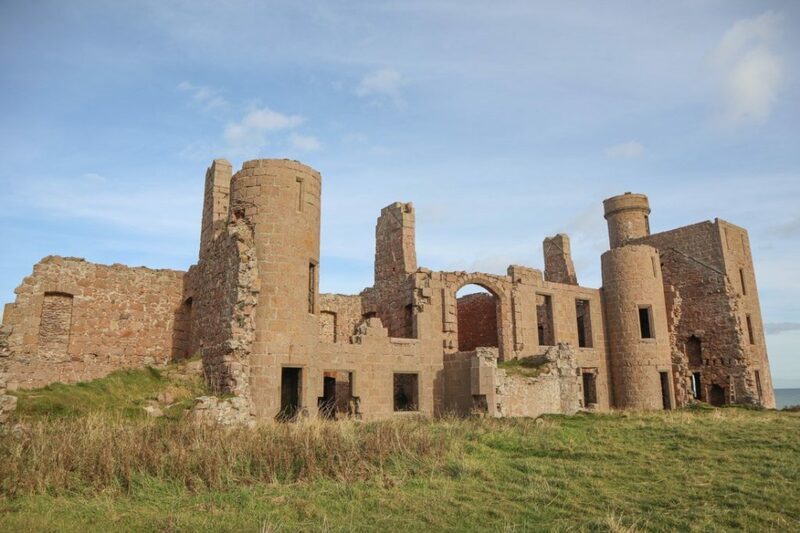 Located on the coast of Aberdeenshire’s Cruden Bay, this 1597 castle ruin is free to access and is close to Bullers of Buchan. 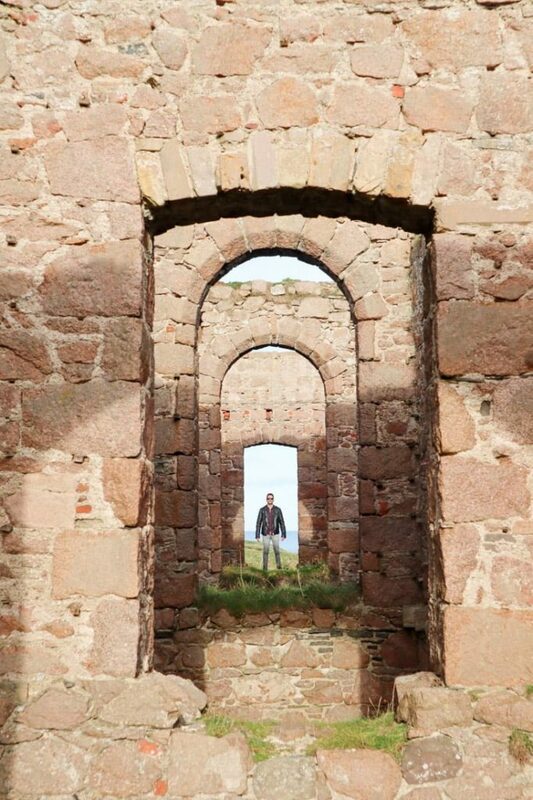 Did you know that it is said that Slains Castle inspired Bram Stoker’s Dracula? You’ll see why when you are met by flocks of blackbirds that guard the castle ruins. How have I’ve never heard about Bullers of Buchan? This collapsed sea cave is a striking attraction 25 miles outside of Aberdeen, five minutes’ drive from Slains Castle. I hear that there’s a great chance to see puffins here too (we weren’t lucky). HM Convict Prison was a fully functioning prison which opened in 1888. Now closed, this building shares interesting stories in the form of audio tours which covers life in prison throughout the ages. Group tours are available from Wednesday through to Sunday. We did the audio tour which took around 1.5 hours. There is also a cafe on site. Glenglassaugh Distillery is an interesting one for whisky lovers because this distillery has been brought back into production after being mothballed in 1986. 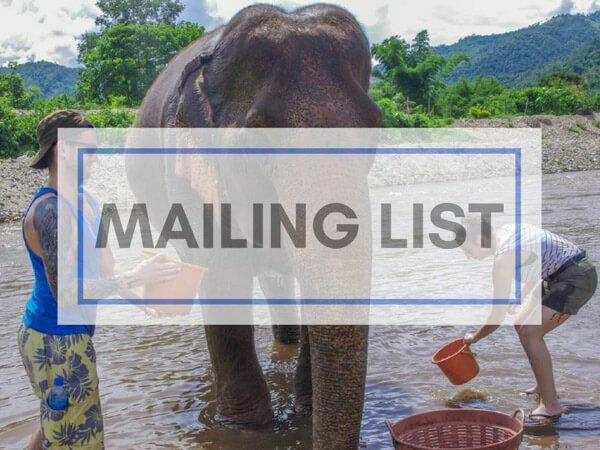 There are actually a variety of tours on offer including a taster and behind the scenes. GlenDronach is one of the oldest distilleries in Scotland and they’ve been making single malts for 200 years. You can find out more at the ‘Journey of Rediscovery’ daily tour. The tour lasts 45 minutes, taking you through the traditional whisky process and of course a sample of GlenDronach! This one hour Founders Tour of the Glen Garioch Distillery discusses the process of the award-winning single malt whisky created by the Manson brothers. Like above, the tour ends with a dram. 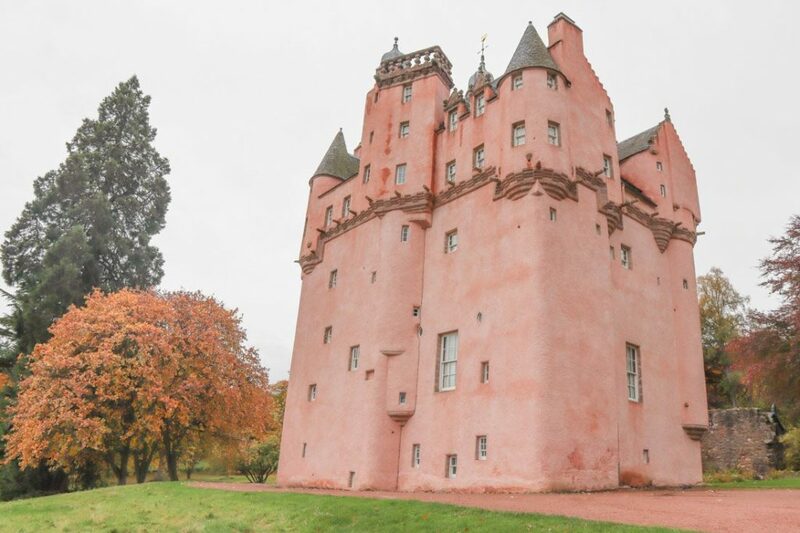 This is the ‘pink castle’ in Scotland and I confirm that the filter has not lied, it really is baby pink. This fairytale castle is said to have inspired Walt Disney’s, Cinderella Castle. Since Craigievar was actually a family home until the 1960s there are quite a few artefacts inside for visitors to check out. 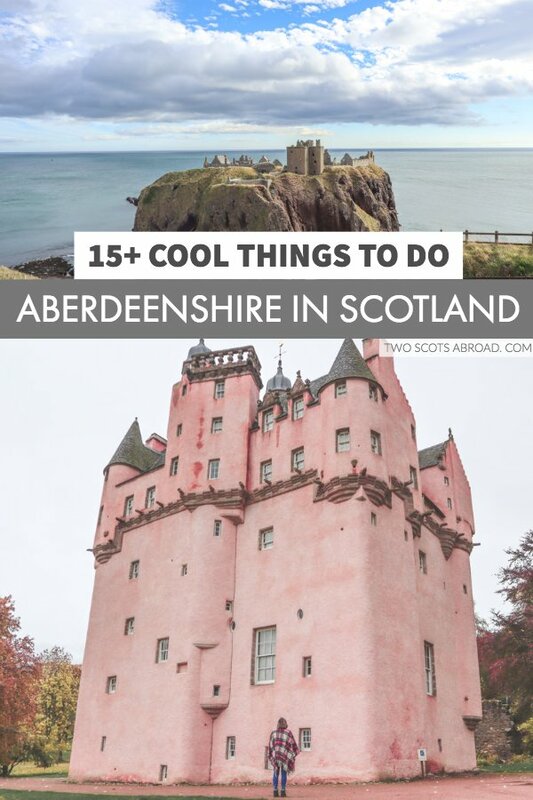 No Aberdeen sightseeing trip is complete without snapping the pink castle, add it your bucket list now. 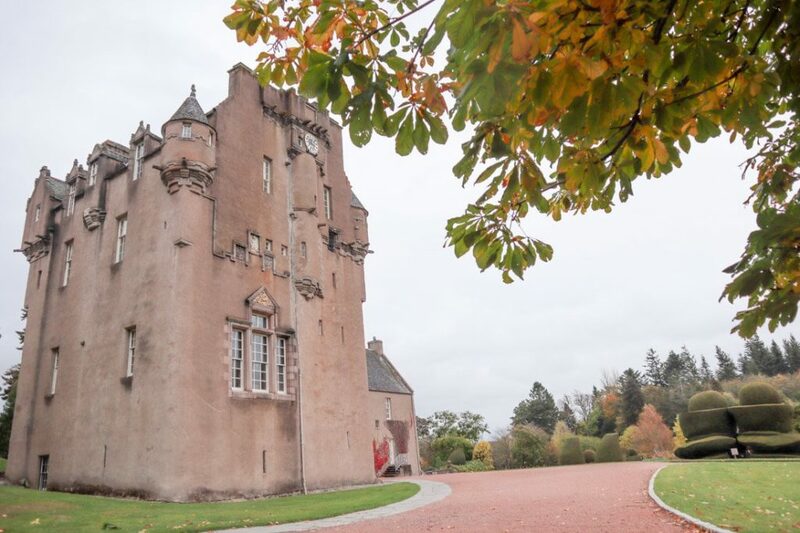 Close to Crathes Castle, near Drumoak (five miles), Drum Castle boasts of a 13th-century tower and a mix of Jacobite mansion with Victorian additions. The castle grounds have accessible woodlands and a rose garden wall. Crathes Castle is a brownish coloured castle dating back to the 16th century. It is surrounded by beautiful gardens and the yew hedges date back to 1702. Crathes Castle shares the same grounds as the adventure park, Go Ape, making it an ideal day out for thrill-seekers and culture vultures. Go Ape is a UK-based treetop adventure park? in the grounds of Crathes Castle. Participants are trained to independently hook ropes to themselves and the Go Ape apparatus. This safely gets you around the obstacles amongst the trees. It really is a thrill, and many of the challenges differ like the hanging loops or Tarzan swings. Set aside up to three hours to complete the monkey business and don’t forget to pack warm clothes including hats and gloves. Want a laugh? Click here to see our Facebook live from Go Ape Aberdeen. When we first posted an image of Braemar Castle on Instagram, followers pointed out that the castle looks like it is upside down! Local volunteers are happy to guide you around the 17th-century castle which was once owned by Clan Farquharson. 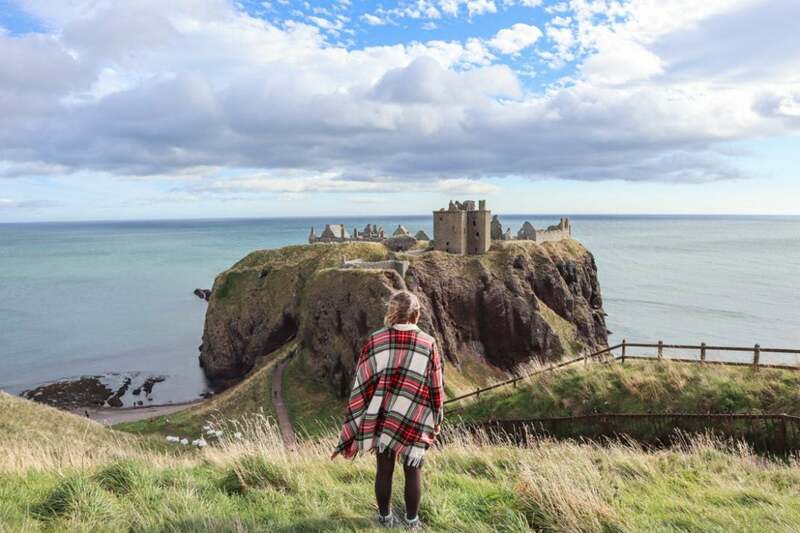 I know we’ve spoken a lot about Aberdeenshire’s castle and I know I was confused about their locations so here’s a quick bucket list for you. There are so many castles in the northeast that the area has been coined The Castle Trail in Scotland. The most famous is the Balmoral Castle (as this is where the Royals holiday in Scotland!) but there are many more to explore. Some of which have been featured in films or were muses for famous authors. Not only is there a Castle Trail in Aberdeenshire but also a Whisky Trail is also known as ‘The Secret Malts of Aberdeenshire’. Why secret? Well everyone knows about The Speyside but the Aberdeenshire distilleries are lesser-known. There are more than eight distilleries an hour away from Aberdeen, with a handful opening their doors to share their story. Scotland has a zero tolerance policy on drink driving. 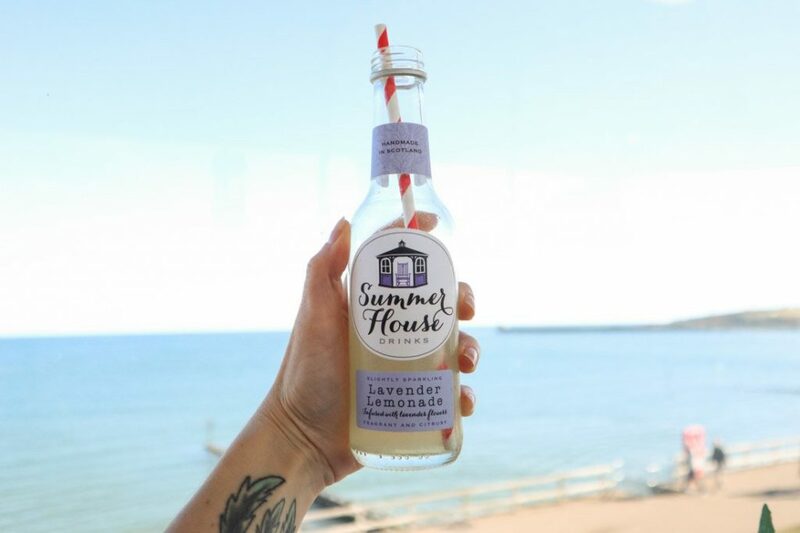 Consider this distillery tour so you don’t need a designated driver. I know it can be confusing to envisage where Aberdeenshire’s top attractions are. Here’s is how we split up our time which includes time in the city and day trips from Aberdeen. Admittedly, our previous visits to Aberdeen and Aberdeenshire have involved drinking and being hungover. I am so happy that we finally got to see more of what Scotland’s northeast has to offer, especially the castles. 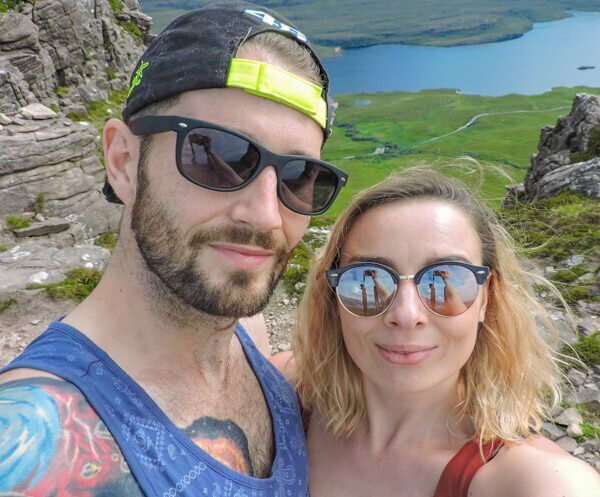 Craig was ecstatic to try a fresh beer at his favourite craft beer brewery and we both had a laugh testing our nerves at the adventure park, Go Ape. 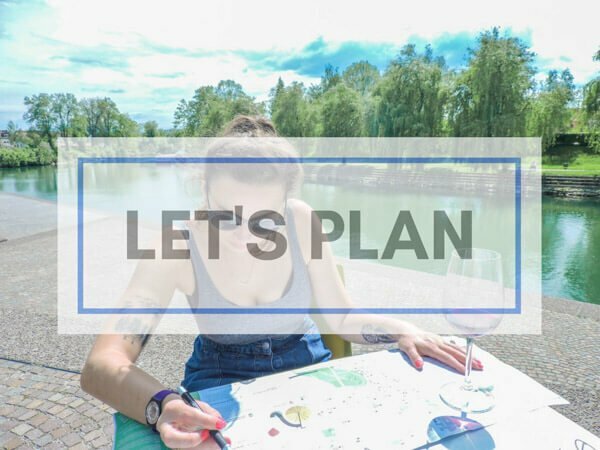 What will be your Aberdeenshire bucket list priorities? 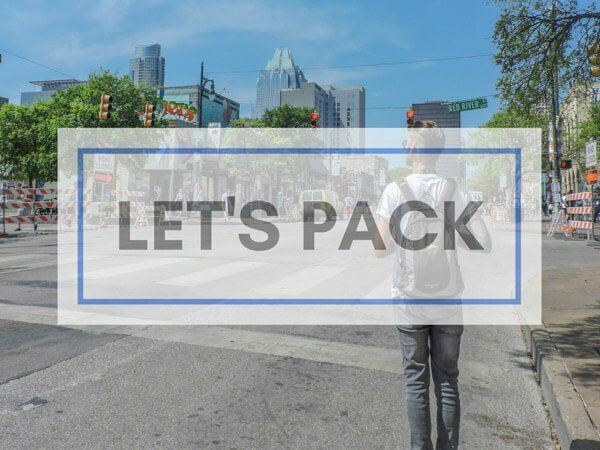 Tell us below. Like it? Pin it to your Scotland board. » » Thanks to Visit Aberdeenshire for working with us. A must is to go to Newburgh beach to see the seals and a walk along the coast from Newburgh to Collieston which will also take in the Sands of Forvie and the buried village of Forvie. Brilliant! I’ll be back up in April so noted your advice, many thanks for reading. Out Deeside way there’s so much more to see. Some of my favourites just off the top of my head are as follows. Beyond Braemar there’s the beautiful area of the Linn of Dee – from here you access some fantastic scenery including the imposing Ben MacDui (not for the unprepared hiker). 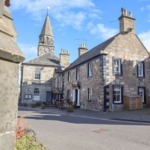 Ballater is a lovely town which has a good butcher, lots of nice cafes and pubs and some great walks. One such walk is the Sgor Buidhe circuit which gives you a commanding view of Ballater below and Lochnagar behind – as well as some of the big hills in the area such as Mount Keen and Ben Avon). Glen Tanar beside Aboyne is a gorgeous area with lots of trails for walkers, mountain bikers and horse riders alike. A good suggestion is to take mountain bikes to the foot of Mount Keen and walk up to bag the most easterly Munro and end the day with dinner in The Boat Inn. The trekking centre at Glen Tanar offers horse riding around the estate on well mannered HIghland and Fjord ponies. At Dinnet, just beyond Aboyne is a gliding club where in the right conditions you can experience flying in a sail plane around the Cairnogorms! Just beyond Dinnet there’s Burn o’Vat (an impressive geological feature) and Loch Kinnord – both of which are accessed from the same car park. When the Queen’s not in residence, you can visit Balmoral and follow a good walk which takes you on a trail of the Balmoral Cairns – 11 cairns most of which were erected by Queen Victoria. Thanks for the tips Sarah! I’ve stayed in Ballatar previously actually. We camped, lovely wee spot. Haddo House is a must! A few miles out of Ellon towards Tarves. Beautiful walk around the grounds, even on a cloudy day it’s a nice place to go to. The small coffee shop – to the left of the car park – before you go into the grounds, has really nice food & hot chocolate! Should also take a trip to Foveran and go to “The Barn” really nice food in there, they now do lunches and evening meals. Nice outside area to sit when it’s the sunnier weather up here too! Brilliant, thanks, Rebecca! 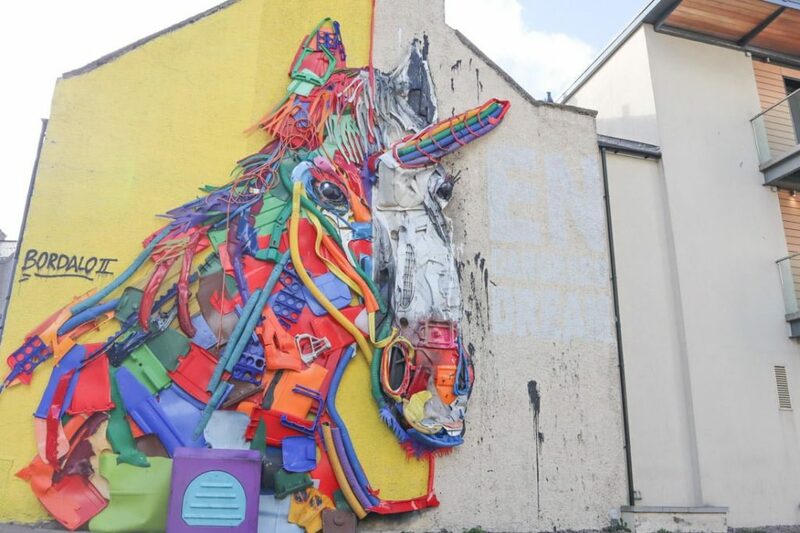 We’re heading back up this weekend for Nuart in the city.